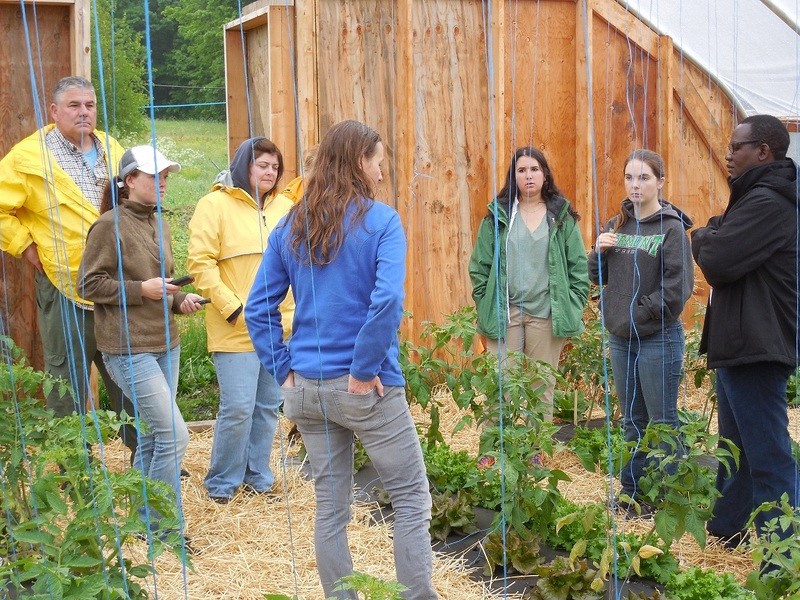 This summer, students are invited to immerse themselves in food systems programming at eight Vermont higher education colleges and universities with the Vermont Food Systems Summer Study Tour. An initiative of the Vermont Food Systems Higher Education Consortium (VHEFSC), the Summer Study Tour offers a “taste of Vermont” – for the intellect. From June 16 – 29, students will delve into topics including carbon, sustainability, the ecosystem, farm-to-institution, climate change, conservation, biodiversity, and policy. The Tour winds its way from the classrooms to the field at Green Mountain College, Middlebury College, New England Culinary Institute, SIT Graduate Institute, Sterling College, University of Vermont, Vermont Law School, and Vermont Technical College. From food justice to safety and labeling, the nation is poised to transform the way in which it sources, grows, processes, purchases, and contemplates food. The Vermont Food Systems Summer Study Tour is the only program in the country where students take to the road for two weeks, moving through eight schools, earning transferable undergraduate or graduate credit or auditing the class. Vermont schools have graduated one-of-a-kind thinkers, advocates, farmers, retailers, and restaurateurs who are leading the charge in how the nation thinks about food. Summer Study Tour enrollment is underway. For more information about the Vermont Food Systems Summer Study Tour or to enroll, see VermontFoodEducation.org or contact Rachel Arsenault (RArsenault@vtc.vsc.edu, 802.728.1677). The VHEFSC is facilitated by the Vermont Council on Rural Development. Photo: Agronomy instructor Sosten Longu teaches Summer Study Tour students about the carbon cycle in the Vermont Tech greenhouse.